I have had some amazing friends in my life. I have also had some NOT so amazing friends in my life. And I have had friends who started out being amazing, but then the friendship fizzles. Many times with a new friendship you see a promising future, and somehow, something happens that pulls the rug out from under you and you have a sudden realization that it just wasn’t meant to be. Or sometimes you need to break up with a friend. I had to do that. I had to break up with a friend I had for many many years. It wasn’t pleasant and I avoided it for a long time because we had been friends for so long I just didn’t know how to part ways without it becoming ugly or bitter. In fact, in writing this it has occurred to me that I have been through a few friendship break ups. So I guess the question that came to me next is: why do I need to break up with my friend? And what happens when you have to walk away from a toxic friendship? 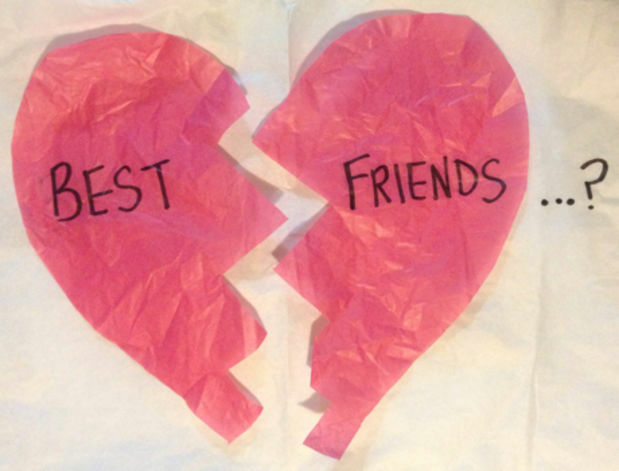 A friendship breakup can be even more devastating than a breakup with a boyfriend or girlfriend. Sometimes we have been even more emotionally intimate with our friend than our lover/boyfriend/girlfriend, and so the loss of the friendship seems to cut a little deeper. But as I think about it more, I realize that I have usually been the one to end the friendship. Every time I have had to do that it has been because what was at first a wonderful, loving, friendship ended up being toxic to me. Let me explain. I am an empath. Because of that people usually feel very comfortable talking to me about deeply personal things. Even when they don’t know me well. They tell me really intimate details of their lives without me even asking. Something about me makes people feel comfortable and able to talk openly. This has never been a burden and I have always been happy to be that person someone feels comfortable sharing with, however, occasionally it has resulted in a friendship that starts out great, but I soon realize that the friendship is toxic. In one case I had a very close friend who I realized was toxic when I thought about all of the kind and loving things I had done for her and her family, but the love and kindness was never reciprocated. The final straw was when she asked me about something someone else had told me in confidentiality and I refused to breach that trust. She just “had to know” and wouldn’t let it go. I finally realized that she would never give up asking for the information and I would never share it and break that trust, ….ever…..so I had to walk away. That one really hurt because we had mutual friends, and had been very very close for about quite a few years. I think the most painful part of a breakup is the loss of what could have been. But probably even worse than the previous breakup was one I went through about a year ago. It was a friendship that I thought would be amazing for my life and my family’s life. I had invested a LOT of time and finances into the relationship and had gifted her and her family thousands of dollars. We were even talking about starting a business together and she had asked me to be on the board of her 501c.3 corp. It started going downhill after she and her family came to stay at my home for a week and we sent them home with a truck full of goods as well as cash to get home. (approximately $500.00) This was after we had given them $1000.00 to go from their home across the country for a family funeral, and helped pay for vehicle repairs (900.00), groceries, hotel stays, etc. for a total cost of about $4000.00 over the span of about 12 months. After they left I didn’t hear from her for almost two months (and prior to that I had spoken on the phone or via skype with her at least two to three times a week.) When I finally heard back after multiple attempts to reach her over that two months I were told “not to worry”, she had been “busy”, and could I give her $500.00 to help with some vehicle repairs. I said no, and the friendship began to unravel…..quickly… I was accused of not caring, trying to trick her, lying to her, etc etc etc….. it just got uglier and uglier. I eventually had to block her from my FB, my phone, and my email. That was an awful loss for myself and my family! I had a lot of dreams wrapped into that friendship both personally and professionally. 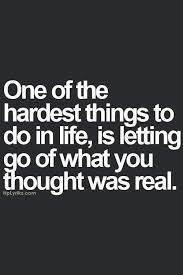 I actually cried for a week after I realized I had to walk away. So I guess the bottom line is that friendships do break up, and they can be even more painful that a romantic relationship breakup. I think we always know when it is time to move on, but we are sometimes reluctant to end a friendship. Nontoxic people can become toxic. Friendships can change and become unhealthy. We can change. Friends can change. 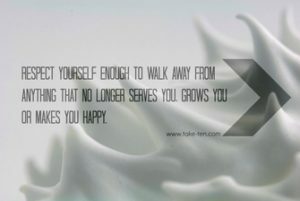 Sometimes we just have to walk away. There are many different reasons we have to break up with a friend, but my advice is to always listen to your heart and gut and do what is best for you and your life.